Legendarium Media in coordination with Lonely Mountain Band is pleased to announce the first episode of a new video series entitled, “Minstrel to Minstrel”! The ongoing series will feature up close and personal discussions with musicians of varying genres. Rather than focusing on traditional press questions relating to the exploits and talents of musicians, “Minstrel to Minstrel” will explore unique topics of inspiration and creativity through the format of one minstrel chatting with another; “minstrel to minstrel”. Another goal of the show is to introduce these minstrels, via mutual subjects of inspiration, to a new audience that might not have heard their music before. 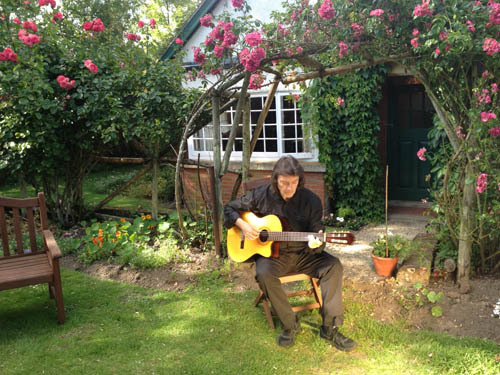 This first episode features guitarist Steve Hackett. Steve boasts an extensive solo recording and touring career, and is also well known for his immense contribution to the famed progressive rock giant known as Genesis. In this interview Steve talks about the great influence C.S. Lewis had on his life and art, as well as other topics like travel, literature and the creative process. At the end of the interview there is a special treat of Steve reading from his own blog about his visit to The Kilns (the former home of C.S. Lewis). 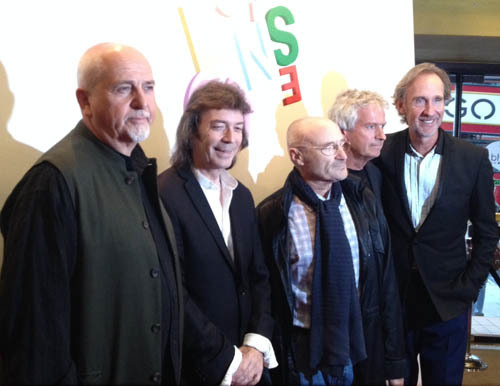 Steve Hackett is currently on tour celebrating the music of Genesis. Steve also keeps an active blog at his website here. Next Massive Star Wars Comic Sale at Dark Horse!